First I was all about the tank bag. 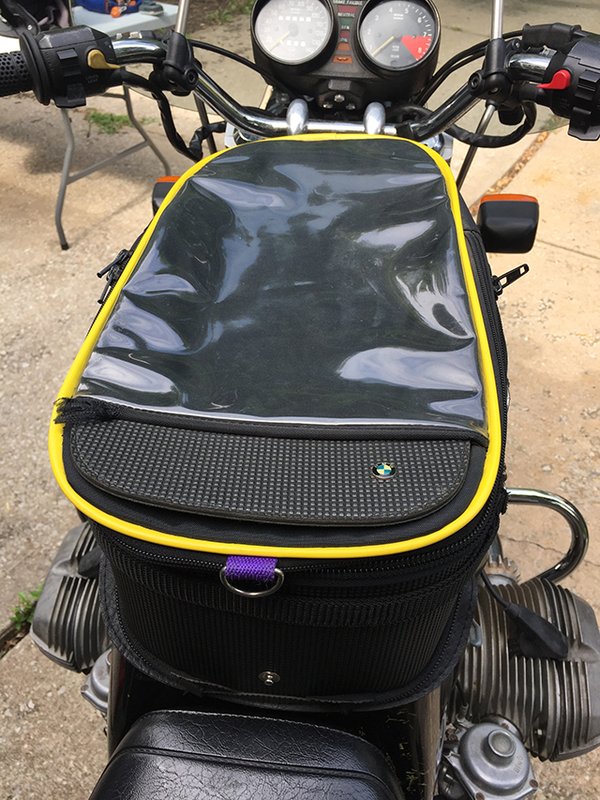 Then I modified my tank bag by adding power outlets. But a couple of years ago I felt the need to eliminate the tank bag. I even wrote about it here, and I wrote about modifying what took its place here. Unfortunately nothing I did made the wrong tank bag right. 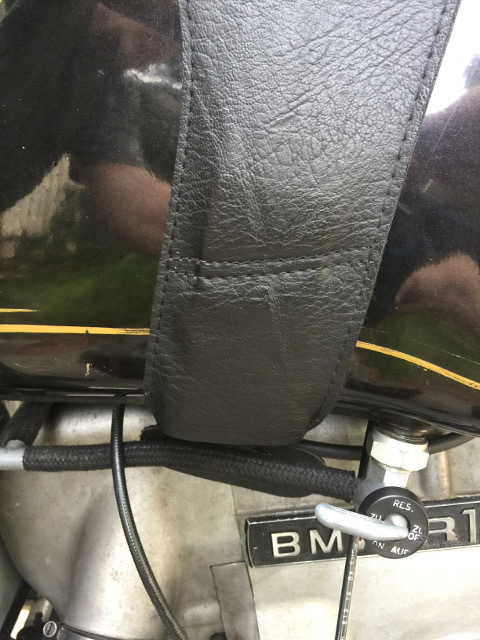 There – I said it – I had the wrong tank bag to begin with so no amount of futzing and modding would make it right. 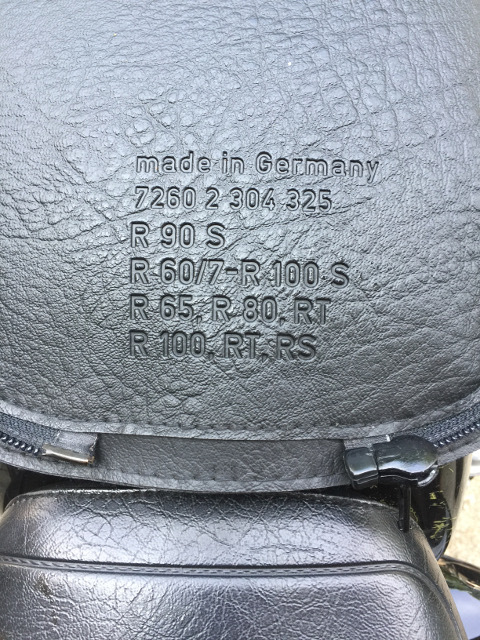 You might recall that I eventually found a proper tank bag for Outs and wrote about it here. As I tend to do, I got excited, snapped a picture, wrote a little, and then went for a ride. 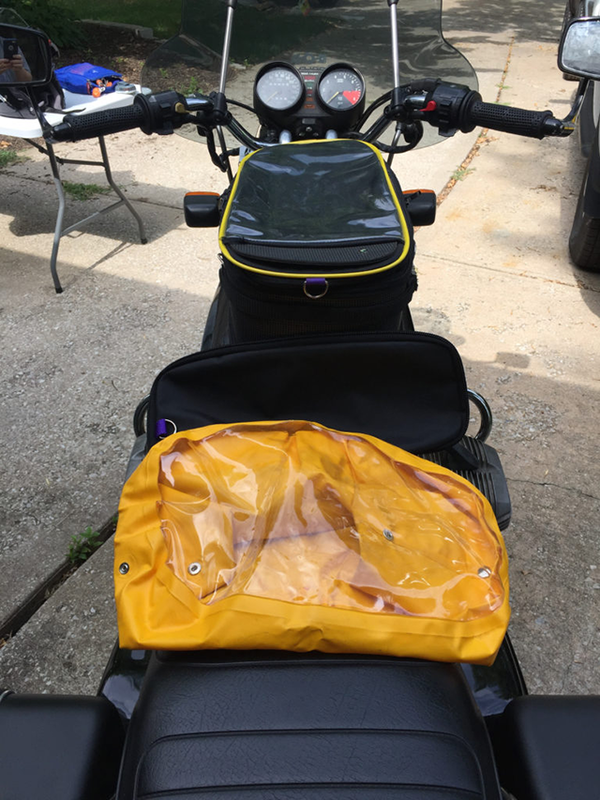 Recently I’ve been thinking that I need to better explain why my new tank bag made me reverse my decision to completely stop using a tank bag. Here it is – in pictures and words. This tank bag works because the base is formed specifically to fit Otus’ tank. 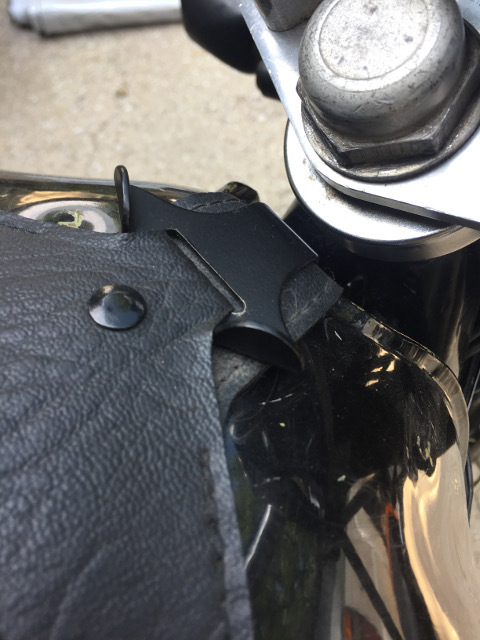 The way the base attaches to the tank ensures it stays tight and the nifty cut out in the center allows me to refuel without completely removing the bag from the bike. 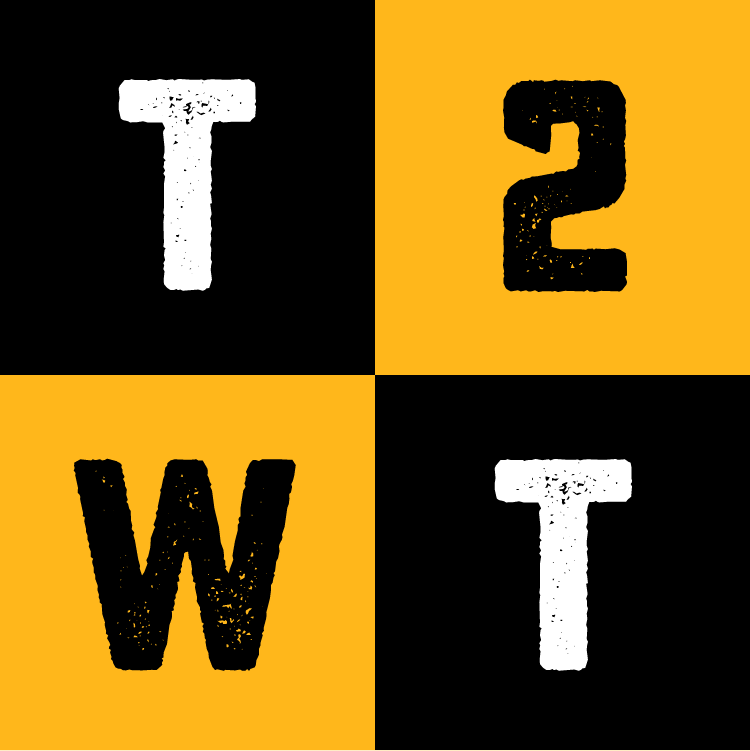 Check out the following pictures to see what I mean. 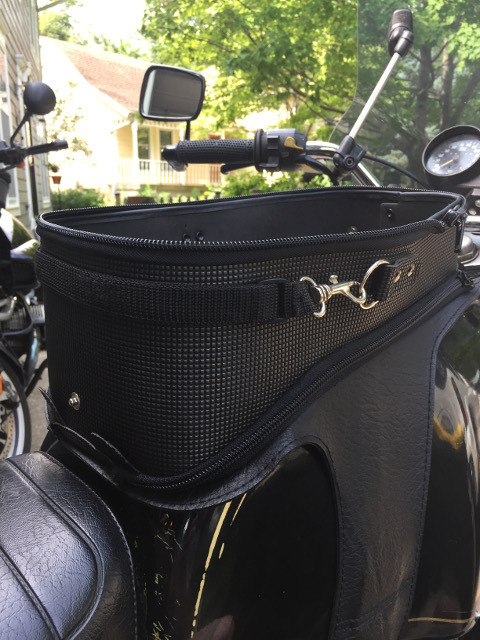 This tank bag works because the storage compartment is tapered to match the contour of the tank while creating a flat top. While the slope to the back tends to allow the contents to slide down into a pile, the flat top allows you to see whatever you put in the map pocket. An optional divider and rain cover were still with the bag when I bought it from the original owner. The next set of pictures illustrate why this bag is the right accessory for Otus. 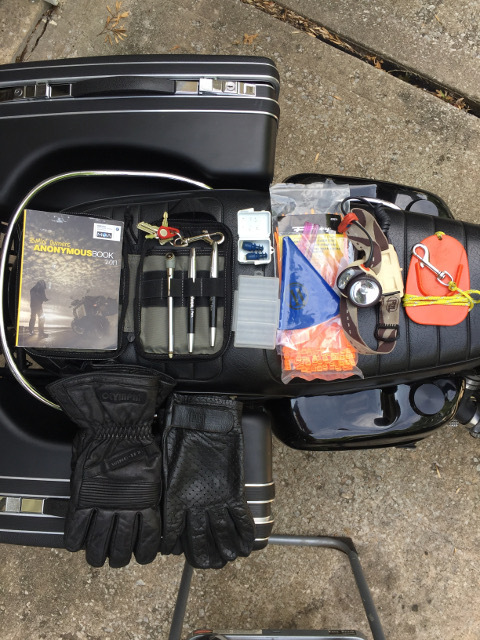 The actual contents may vary from time to time but this is what I generally carry in my tank bag now that I use a tank bag.